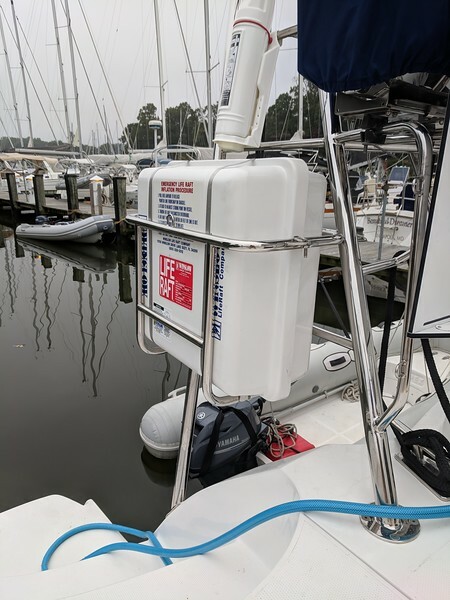 Regular maintenance projects to keep your boat sailing. 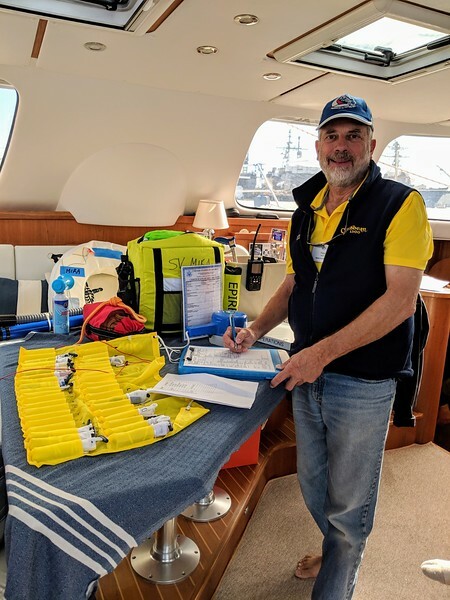 By the time we pulled into Falmouth, Antigua this November, 2018, we had not only completed our longest non-stop passage, but also eclipsed our one year anniversary aboard Mira. It had been an amazing and certainly, eventful year. 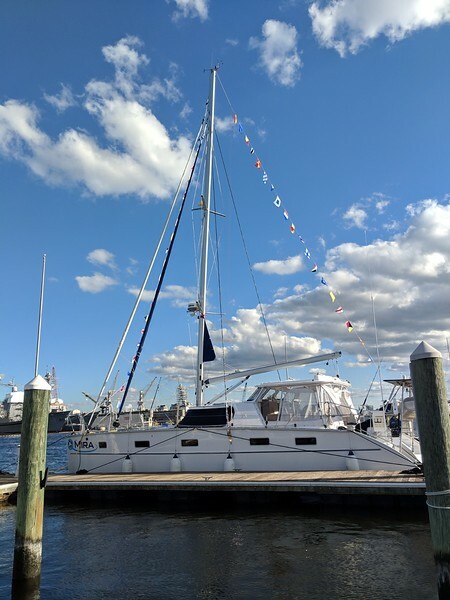 But, this auspicious anniversary didn’t really sink in til well into January as the remainder of November and early December were spent fine-tuning Mira from her recent long ocean passage and hosting family on board for Thanksgiving. We returned home to Atlanta for Christmas, while Mira enjoyed a week in the spa. Actually, she was on the hard, being pampered by Karen and Jason, and receiving a fresh coat of anti-foul paint. 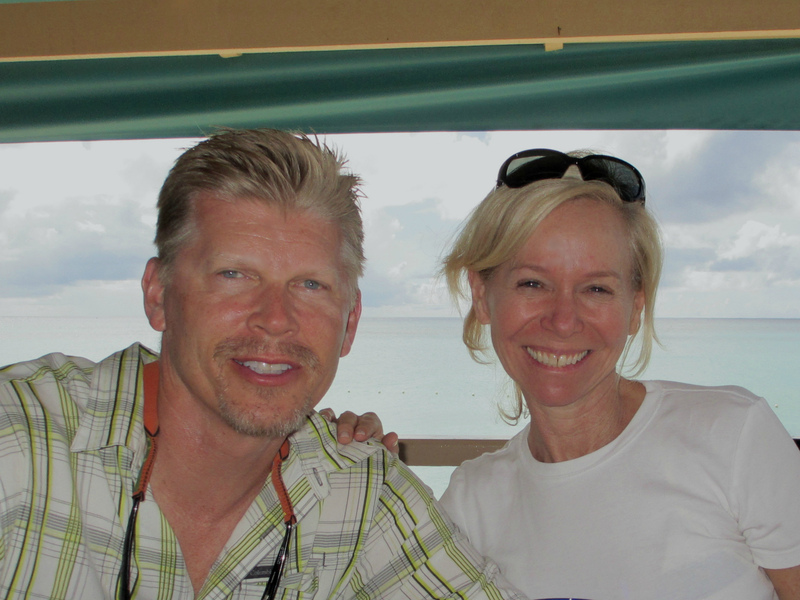 As we began preparations to return to the boat in January, we reflected on our amazing year. 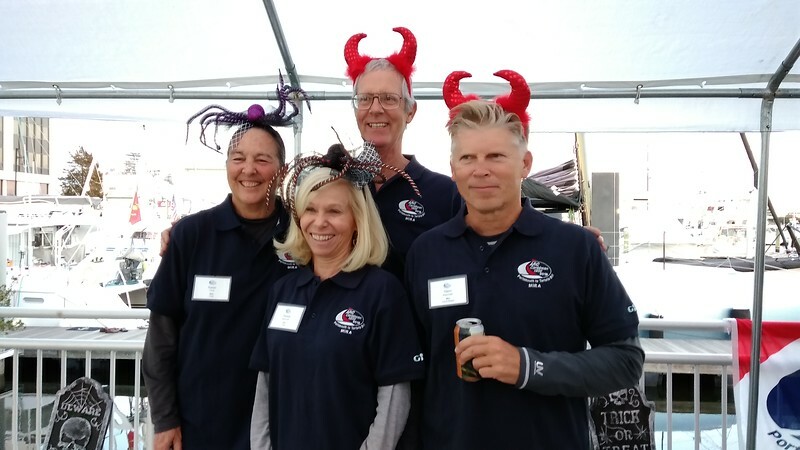 When we first joined the Antares cruising community, we recalled other owners telling us that the first year is the hardest. “Hang in there, and the second year will be more fun”, they said. So how was our first year? Intense and fun! As first time boat owners, the learning curve was steep. It seemed we were doing everything for the first time. We read tons and took any advice we could get as we dove right into learning. We built lots of lists and spreadsheets. 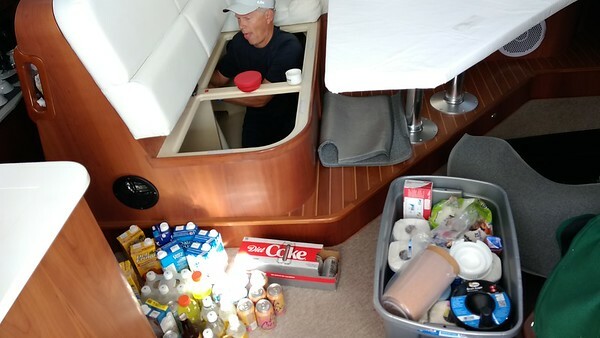 All in a effort to develop a set of comfortable routines for life aboard our boat. The wonderfully supportive Antares owners community were key in shortening the learning curve. Thanks guys! Despite all of the reading, preparation and lists, we still managed to make plenty of rookie mistakes. 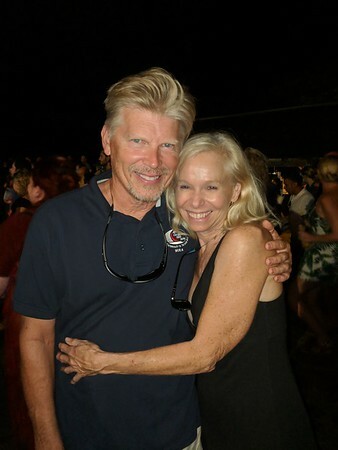 Defining roles and responsibilities — After thirty three years together, this was fairly natural. 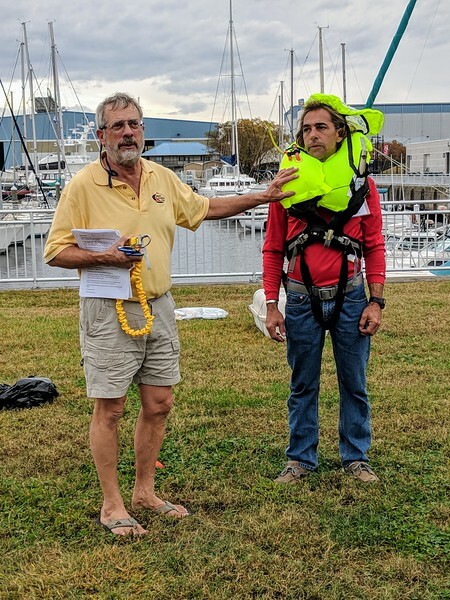 Captain Glenn: navigation, sail handling & trimming, fix stuff; weather routing, and all the more physically demanding work. 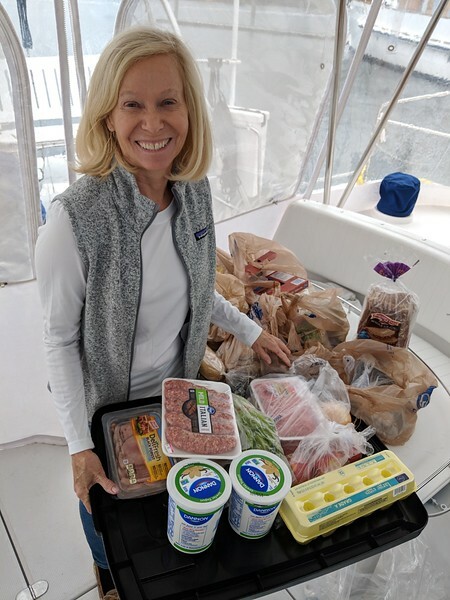 First Mate Pam: Chief Communications Officer – blogger, travel planner and researcher, Chief Medical Officer, Chief Risk Analyzing Officer, assistant helmsman, Chief Provisioner and chef, and social chairman! Yes, we managed to strike a pretty good division of labor. 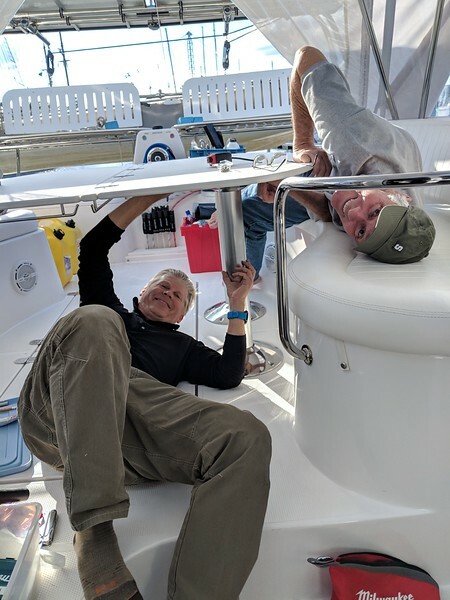 Boat maintenance and repair — You can always find someone to pay to repair the boat, but it turns out that if you want to maximize your time sailing versus sitting in a marina, it’s helpful to be willing to do much of it yourself. It ain’t rocket science. Invest in a good set of tools and spare parts and plan to do some maintenance task every day. 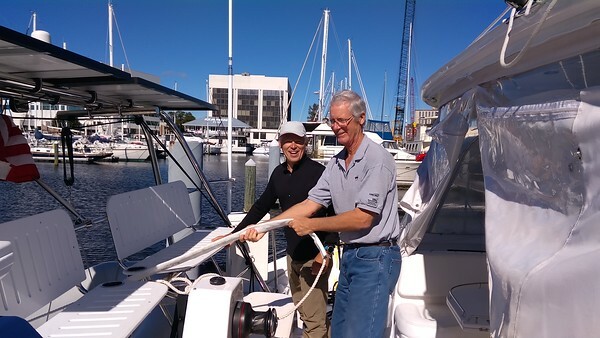 Cruising has been cheekily defined as “doing boat maintenance in exotic places”. We get it! 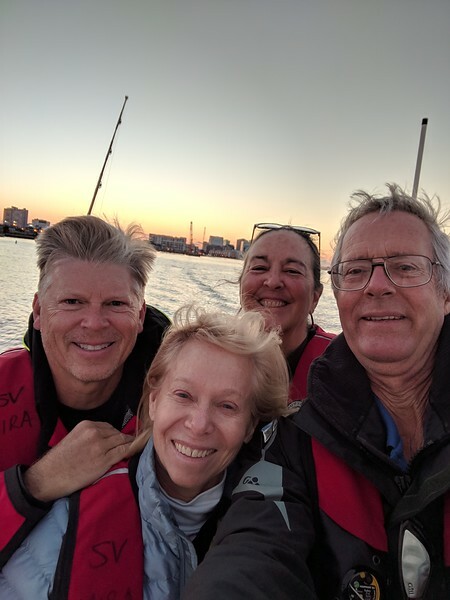 Learning to sail the boat — Antares is a very well designed and built catamaran. She is capable of both performance and comfort and the learnings on sail selection and trim are continuous. We’ve come a long way and are still learning and trying new techniques. 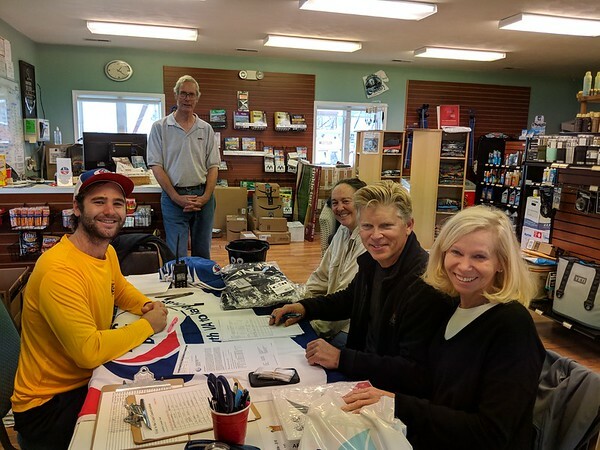 Staying connected – We have been able to get reliable mobile phone & data service (plug for Google Fi) in all but the most remote destinations, often while we are offshore. For the longer passages, our IridiumGO! satellite system has proven quite serviceable for receiving weather data, text and short email messages. Gotta love modern technology! Weather routing — Interpreting weather data and marine forecasts. Since we depend more heavily on the weather living on the water, this was something new for us. Fortunately, modern weather modeling & forecasting has become quite reliable – particularly for 1-3 days ahead. 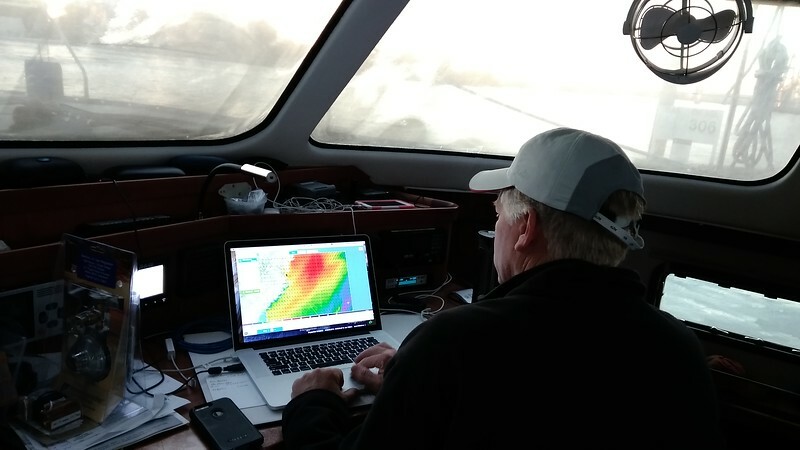 We are constantly checking the weather from PredictWind, Windy, and Chris Parker to plan our travel. 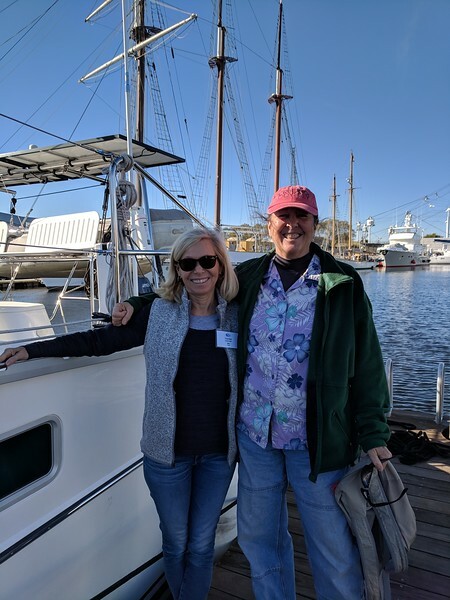 Learning to live aboard a boat — Keeping our home self-sustainable and moving requires managing our energy requirements and water consumption. Something that definitely didn’t come naturally to us! One huge bonus that we appreciate every day is the amount of solar energy capacity on Mira. 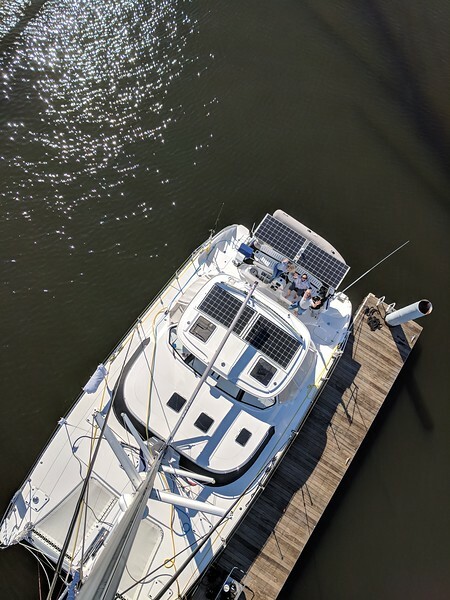 Though we haven’t yet made the leap to lithium batteries, she has 1200 watts of solar charging capacity, and we have found that we are rarely required to run the generator – usually only to make water or do laundry. 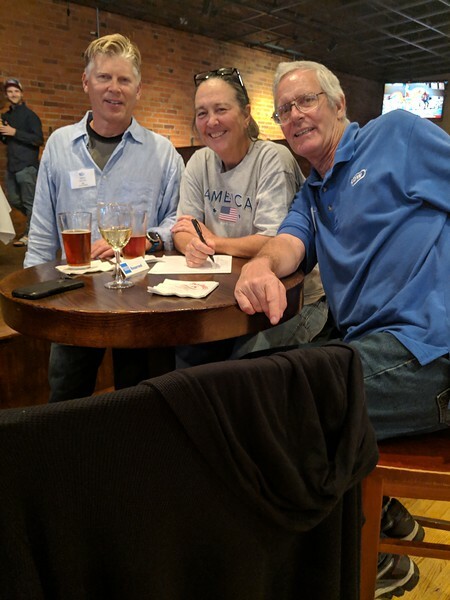 Maintaining our health and fitness — Other than random cuts and bruises, we have remained quite healthy (as evidenced by our recently completed annual physicals). We love the water and most days there is opportunity to swim, dive, paddle, or snorkel. While ashore, we try to walk to the local grocery store or chandlery and are always looking for trails for hiking and scenic vistas. We also keep a set of elastic fitness bands, small dumbbells, and exercise mats aboard for those days when we just need a good work out. Don’t you get bored? The only times we ever get restless are when we are stuck in one anchorage or in a marina waiting for bad weather to pass. Don’t you miss your family and friends? Yes, every day! Are you still having fun? 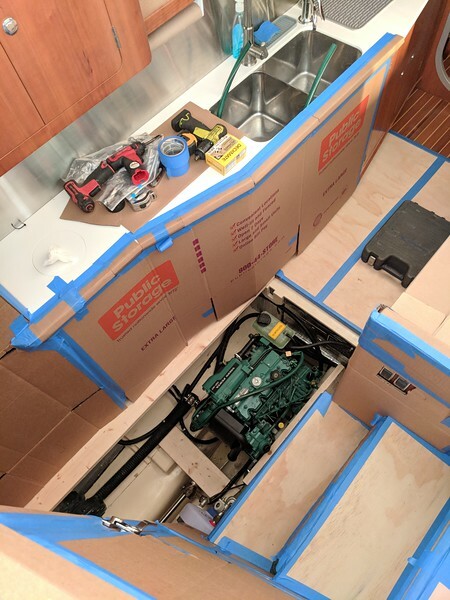 most days – occasionally, the continual maintenance and repair of our floating-in-salt-water home gets tiring. and, brand new Volvo diesel engines installed (by recall – at no charge)! As we head into year two aboard Mira, we are still learning every day, though not as intensely. We love that every single day is different. Indeed, this is an intellectually and physically engaging lifestyle which we truly love and are blessed to be part of.